People who enter this plane on Life Path 6 are characterized by a focus on domestic tranquility, truth, justice and a sense of nurture for all living things. These people surpass all others in the paternal or maternal emotional departments. Not only do you care for your family very deeply and make sure everyone is taken care of, but this focus can carry over into the workplace as well. Individuals on Life Path 6 who do not have a family use these talents and emotions on coworkers, communities or organizations they feel strongly about. Many are more conservative and focus on family values over grandiose ideas. Your contentment and happiness stem mostly from the knowledge that you are a useful part of the group and you are successfully serving others. Many are humanitarians as well. A focus on family and immediate friends supersedes all other interests in your life. Your leadership roles may be small, but they are vitally important to the foundation of society in your opinion. You set examples and assume responsibility for the burdens and troubles the family unit deals with. Most Life Path 6 individuals are more than willing to shoulder not only their share of any problem, but also help others carry their own burdens. They are considered exceptionally dependable. Other people's problems often become your own through your own sense of responsibility toward the family unit. The major negative aspects of individuals on Life Path 6 mostly deal with taking on too much responsibility for yourself and creating undue stress. Family members or friends who do not have your best interest at heart may pile too many problems on your shoulders. While you may be judgmental of others, there is more danger of self-criticism that can lead to additional emotional problems. 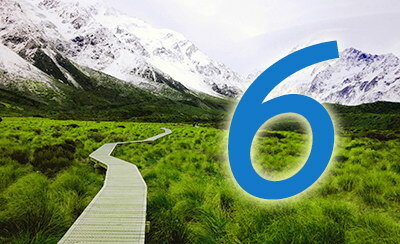 At the worst, a number 6 person can fall into the trap of self-righteousness.